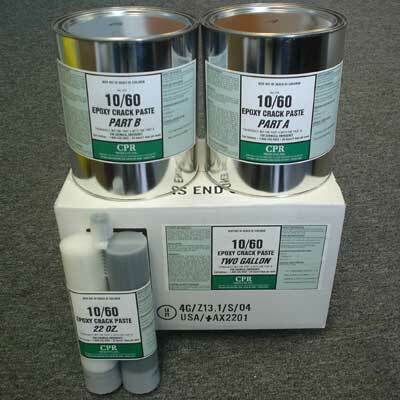 100% solid, moisture insensitive epoxy designed to permanently restore structural strength to cracked concrete. 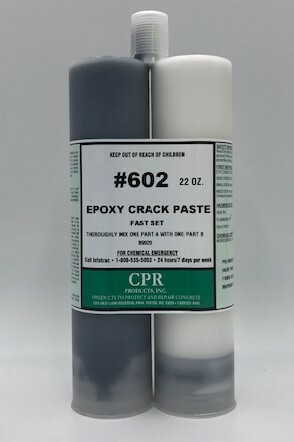 100% solid moisture insensitive epoxy designed to permanently restore structural strength to cracked concrete. 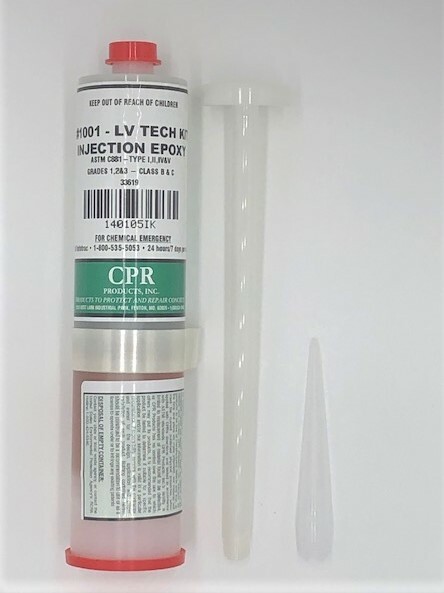 Unique wetting properties allow for maximum penetration into cracks above 0.005". 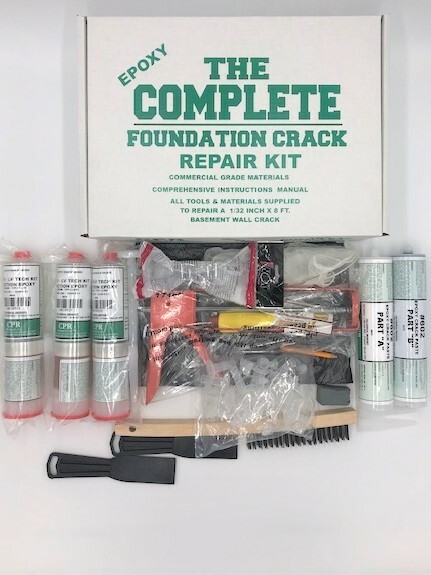 "The Complete Foundation Crack Repair Kit" includes all the materials and tools you'll need to epoxy inject a 3/64" x 10' crack; along with a comprehensive instruction manual, data sheets and product MSDS. 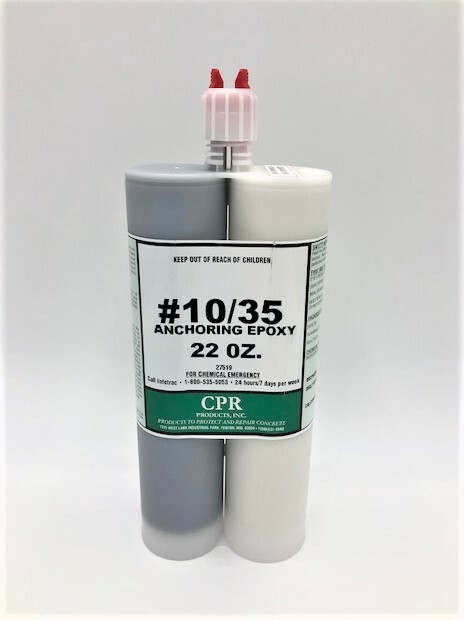 Low odor, non-sag, structural epoxy paste. 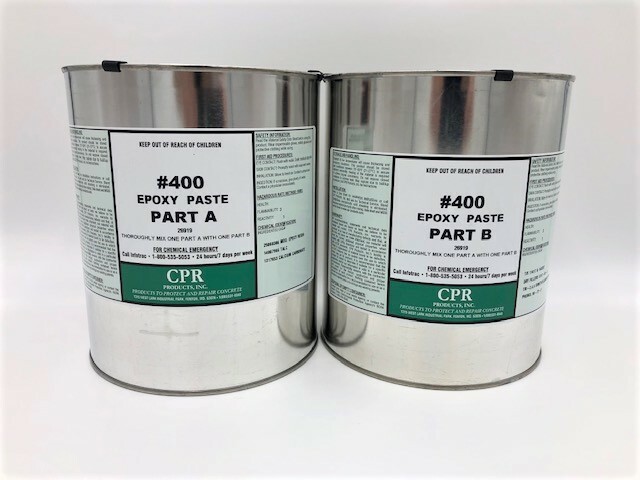 #400 has many structural applications, but is often used to fill cracks prior to carbon fiber overlay. 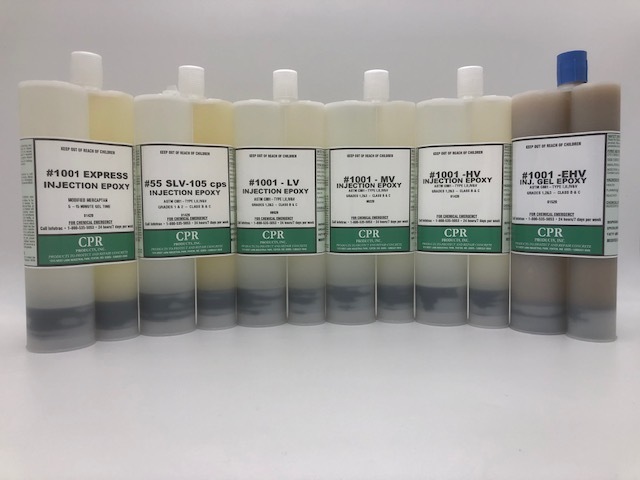 #10/35 is a two component, high modulus, high strenght, non-sag, structural epoxy bonding gel. 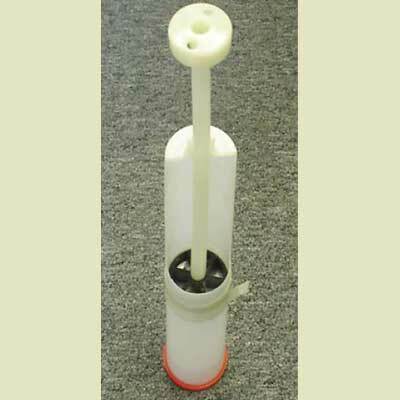 Used for anchoring dowels, vertical/overhead structural patching, and sealing cracks/mounting ports prior to resin injection. 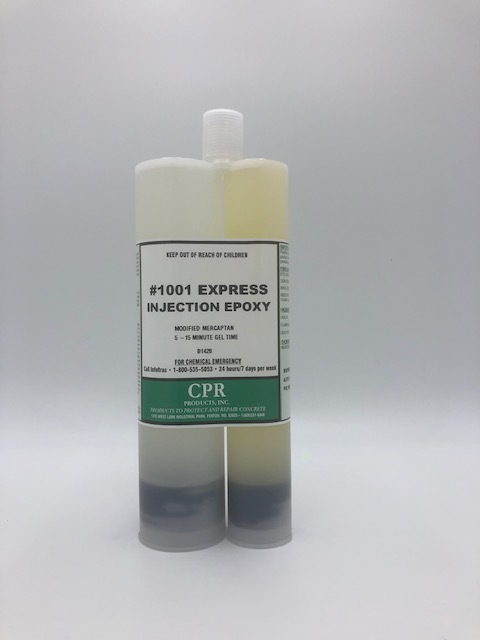 #10/60 is a low odor 100% solid, non sag epoxy paste used as an anchoring epoxy or for sealing cracks prior to injection of a resin material. 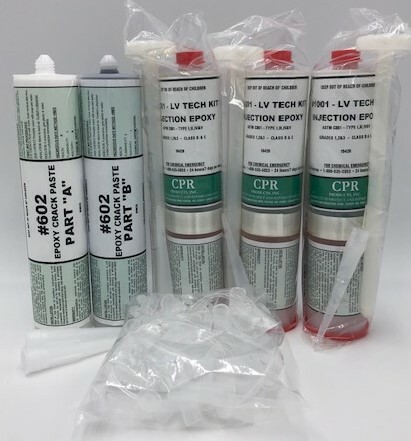 #602 is a 100% solid, non sag epoxy paste used primarily for sealing cracks prior to injection with #1001 injection epoxy or #900 polyurethane resin.